In 1903, the “chew and spit” diet was the newest craze. In order to lose weight you would chew your food 32 times and then spit it out. The year 1925 brought about an even better diet: the cigarette diet. Not surprisingly, Lucky Strikes was behind the idea to “reach for a Lucky instead of a sweet.” This led to doctors actually prescribing cigarettes to patients hoping to lose weight. These diets seem ridiculous to us now. Imagine your doctor today writing you a script to purchase cigarettes. It’s thought provoking. How many insurance companies would cover that? It’s safe to assume these can be classified as fad diets. The trend came and went, just like ripped jeans in the 1980’s and yo-yo’s in the 1990’s. While these particular fads have passed, fad diets themselves are becoming increasingly popular. Whether trying to fit into those new jeans or your old wedding dress, fad diets are appealing to many people. Offering quick weight loss with minimal effort, it’s no surprise they attract the attention of those hoping to shed a few pounds. Unfortunately, relying on a quick fix for a lasting problem is a poor approach. 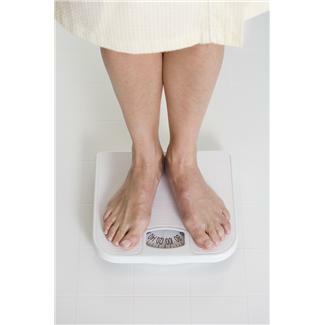 While the diet may produce initial results, the effects are typically short lived. Often , fad diets are overly restrictive, commonly eliminating one or more food groups. These diets are not sustainable over a lifetime which will lead to eventual weight regain. If the practice is continued for a lengthy time, it can lead to health complications and nutrient deficiencies (think Ashton Kutcher and his fruitarian diet). Although it may seem less exciting, the best path to long term health, wellness, and sustainable weight loss can be summed up by author Michael Pollan’s advice: Eat food. Not too much. Mostly plants. This sounds a lot like My Plate. 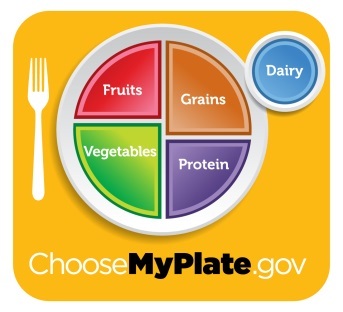 Fruits and vegetables should take up half the plate, one quarter should be whole grains, and lean protein should fill up the remaining quarter. Don’t forget to include a serving of low-fat dairy as well! Does this diet eliminate food groups? Are there promises of quick and extreme results? Can this way of eating be sustained over a lifetime? Author: Susan Zies, Extension Educator, Family & Consumer Sciences, Ohio State University Extension, Wood County, zies.1@osu.edu and Ryan Leone , Adolescent Obesity Prevention Project Manager, Ohio State University Extension, County, leone.92@osu.edu. Reviewer: Lisa Barlage, Extension Educator, Family & Consumer Sciences, Ohio State University Extension, Ross County, barlage.7@osu.edu.